Starting in the next few months, Upton Hill Regional Park is set to get a major makeover — but the process of sketching out plans for the renovation work is getting a bit messy. 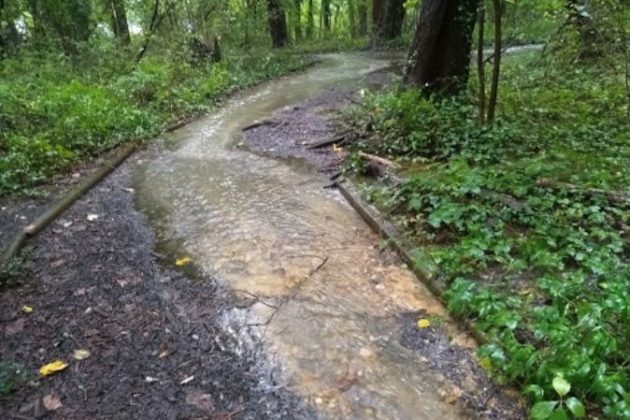 Some neighbors and county conservationists see the whole project as poorly conceived and deceptively managed by NOVA Parks, the regional body that maintains Upton Hill. 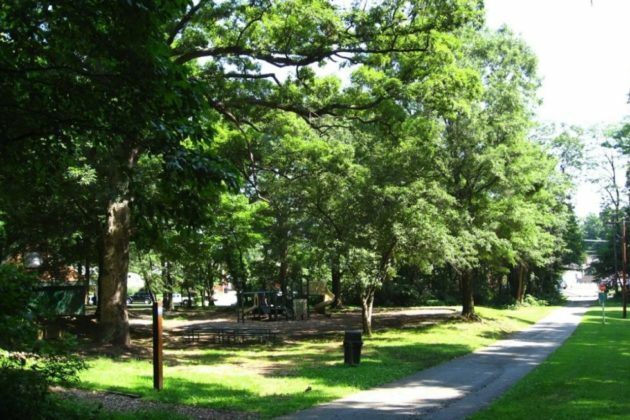 Plans to cut down 115 trees at the park, located at 6060 Wilson Blvd near Seven Corners, strike them as a blow to both the country’s tree canopy and a disaster for stormwater runoff in the area. But park officials, and even some of their fellow neighbors, feel these complaints have been blown entirely out of proportion, arguing that a few malcontents are lobbing bombs against a project that will transform a park sorely in need of a facelift. The $3 million renovation work is set to proceed over the next year or more, and with a new petition urging NOVA Parks to re-think its plans, debate over the project seems sure to intensify moving forward. Paul Gilbert, the executive director of NOVA Parks, says his group last upgraded Upton Hill back in 2006, and decided back in 2015 to pursue some upgrades to the park. 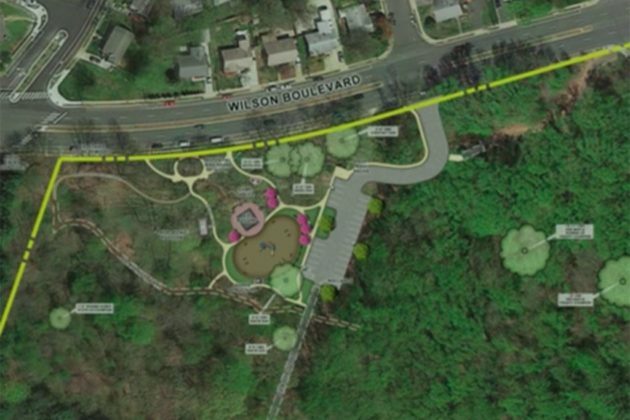 The arguments start over proposed additions like a ropes course, a new entrance on Wilson Blvd complete with a small parking lot and 103 new parking spaces in Upton Hill’s upper half, near its water park. 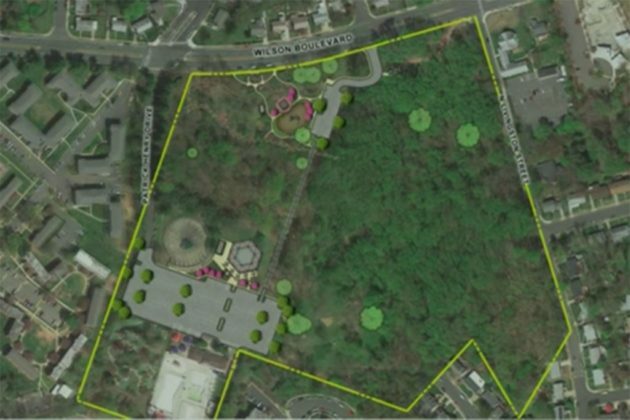 “NOVA Parks has never made a convincing case for expanding parking at Upton Hill, which has a parking lot that is barely used for nine months of the year, when the water park is closed,” said Sada Aksartova, a Boulevard Manor resident. Her husband, Josh Handler, helps run the friends group, which notes that many of the trees set to be chopped down are several decades old. Yet Tighe argues the new parking will help ease crowds at the park, avoiding the need for so many people to park on the street, and Gilbert says there’s a bit more nuance to consider regarding the trees to be cut down. Of the 115 trees to be removed, he says 19 trees are already dead, while 31 are non-native trees, which he feels don’t add much to the area’s ecosystem. 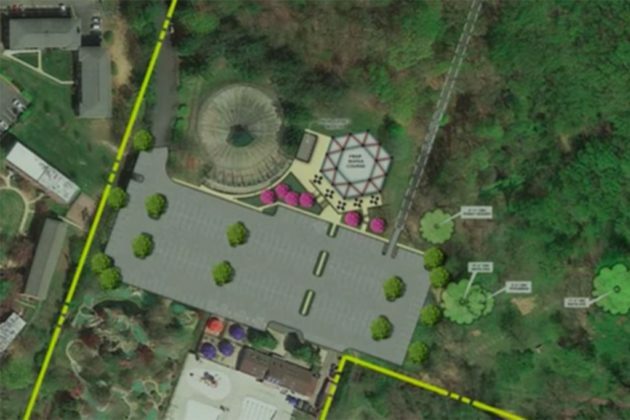 He points out that he hopes to plant dozens of new trees, shrubs and grasses elsewhere on the park to create an “oak/hickory forest” that he believes will represent a net positive for the county’s tree canopy. “It’s degrading a park that’s just a little postage stamp of green in an ocean of parking lots,” Sundberg said. She also fears that removing so many trees and replacing them with asphalt will worsen the already substantial stormwater management problems in the area. The friends group posted a series of videos earlier this month illustrating how huge amounts of water already flow off the park’s grounds. But Gilbert believes the underground cistern included in plans for the new parking lot will alleviate the stormwater problems in the area, rather than exacerbate them. Furthermore, he feels those videos are misleading, as they were taken just after a heavy rainstorm. Certainly, Gilbert has plenty of problems with the way the Friends of Upton Hill have conducted themselves. 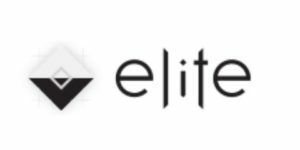 He believes the group’s name is a “complete misnomer,” dubbing it “a couple of individuals with an ax to grind” and “not a true friend’s group.” He feels the community has been broadly supportive of the project. Tighe charges that park officials have been “phenomenal partners every step of the way.” Other neighbors, however, are taking more of a wait-and-see approach, rather than coming out so strongly in favor of the park.